You’ll bore yourself to tears, getting sick of your hero long before he or she has a chance to come alive on the page. 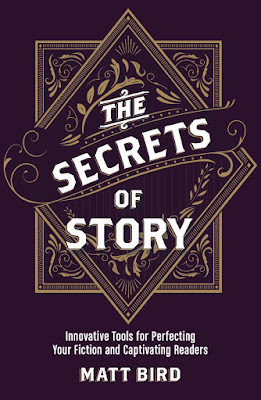 You’ll commit yourself to randomly-selected story details, and feel less willing to change your hero’s past on the fly as you write, in order to add special skills, or tangled relationships from the past that can juice up the conflict, or additional ironies. Once you’ve created this epic backstory, you’ll feel compelled to reveal it at some point, even though the audience won’t care. You’ll be tempted to use backstory as a substitute for front story, differentiating your characters based on where they’ve been, rather than how they act. In the terrible pilot for “NYC 22” each rookie cop stopped the story dead in order to reveal a complicated backstory, but their current plans and tactics were virtually identical. But, with all those caveats out of the way, it can, in fact, be a useful exercise to write out a full bio of each character, as long as you understand that you should never show all that you know. Just because your heroes have baggage, doesn’t mean that they should take it out of their overhead bin during flight. One of the advantages of writing of a bio for your characters is that it allows you to search for new ways to bond with them. Give your characters gifts from your own life until they come alive in your head. Don’t assume that backstory will get your audience to fall in love with the character, but do anything you can to makes sure that you fall in love, even if your audience never knows why. Even when you’ve cut out unnecessary backstory, there are other ways to know more than you show when it comes to character. Beware of moments that perfectly sum up a character’s personality, all in one scene. Ironically, this might be the scene that made you want to write this story in the first place, because it made the character instantly come to life in your mind, but now it’s time to kill your darlings and cut it, because you don’t want a character that can be summed up in one scene. There are few film directors more interest in or capable of immersing me more completely in the present moment than Abbas Kiarostami. His films often succeed with the barest whisp of backstory. Yet his most recent film LIKE SOMEONE IN LOVE, unusually plotty to begin with for him, is almost as bad as "NYC 22" in its desire to offer us excess exposition that ultimately has no bearing on the film's fairly arbitrary ending. Its all masterfully acted and directed but the kind of half there writing reminds me of the worst sins of amateur scripting that you're discussing here. We learn a little dossier of teasing and minimal details about the two main characters -- everything except what we'd need to know to understand why they make any of the choices that the film wants us to believe should matter.